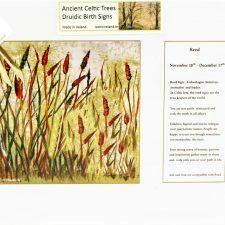 This Ancient Druidic Birth Sign is ‘Reed’: November 18th – December 17th. Reed sign: Archaeologist, historian, journalist and leader. 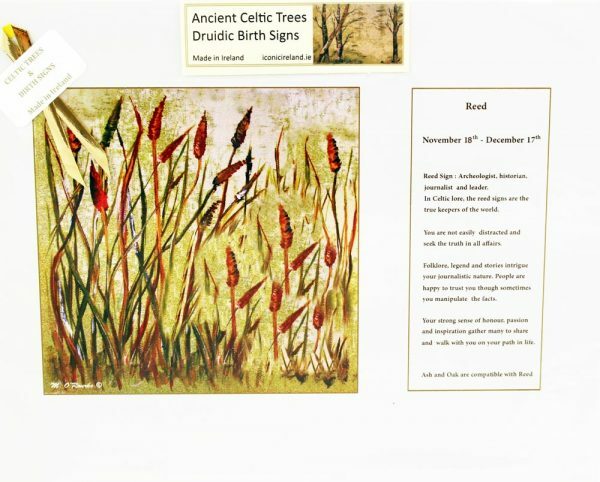 In Celtic lore, the reed signs are the true keepers of the world. You are not easily distracted and seek the truth in all affairs. 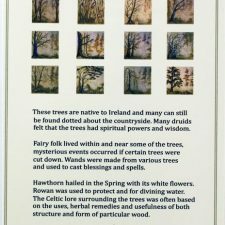 Folklore, legend and stories intrigue your journalistic nature. People are happy to trust you through sometimes you manipulate the facts. Your strong sense of honour, passion and inspiration gather many to share and walk with you on your path in life. Ash and Oak are compatible with Reed.